Ongoing changes to our world such as increasingly extreme weather and population growth have led many people to take a long, hard look at food production and distribution. The promises of consistency, control, resource efficiency, and space efficiency have made indoor agriculture one of the most prevalent areas of innovation in this space. Already, this new industry is dividing into several distinct iterations from home gardens and warehouse farms to our very own Greenery, but how do these different formats really compare? If you’re thinking of growing greens hydroponically, which version of indoor agriculture is right for you? New hydroponic farmers who want to start small with a garden-sized hydroponic system have two main options: a build-it-yourself custom garden or pre-made home-growing appliances from companies like Ikea or Sprouts iO. While home-growing is the lowest cost and lowest risk entry point to hydroponic growing, it also corresponds with lower output and is therefore best for hobbyists rather than urban agriculture entrepreneurs. There are many resources available online for those who would like to try their hand building their own system. Of course, not everyone has the time, desire, or know-how to construct a growing space in their homes. Appliance and/or counter-top growing on the other hand requires much less labor, but generally aims at lower total production. Think of these as the hydroponic version of a window-sill herb garden. Those looking to build a business around their hydroponic operation, will have to look elsewhere for their grow systems in order to come to market at a competitive pace. At the opposite end of the spectrum, warehouse farms have captured the attention of entrepreneurs and investors in many major cities for their apparent ability to churn out enormous amounts of consistent produce. Many of these projects aim to jump right into large-scale sales and distribution, but they sometimes forget to leave themselves space to learn and grow their farming system. Warehouse farms do have certain benefits: they are a great way to turn underutilized buildings into operations that create jobs and feed communities. Also, at a certain size, farmers can automate most or all of the process, preventing the cost of production from swelling out of control. 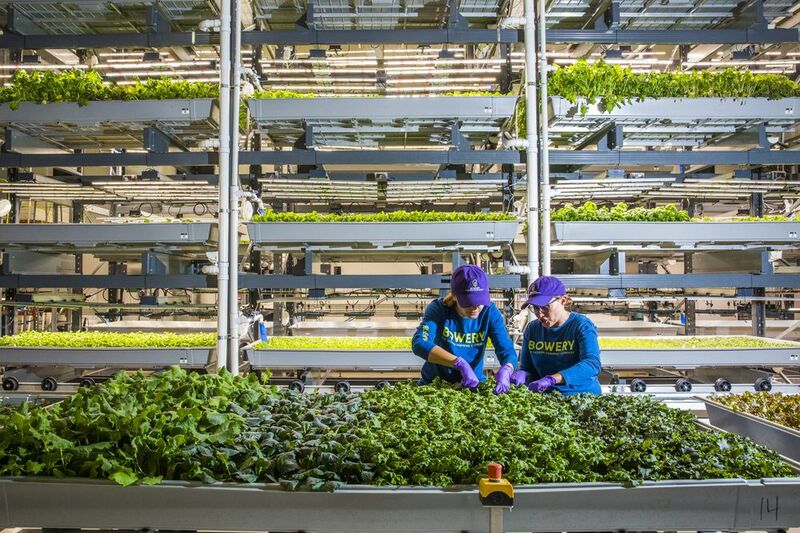 Large-scale warehouse farms can produce vegetables year-round and if they’re large enough, capture a significant market share in urban areas where millions of people are ready and willing to buy farm-fresh greens. However, the large scale benefits of warehouse farms come with certain drawbacks. To reach economies of scale and production levels able to fund the venture or pay back investors, a warehouse growing operation must overcome some high cost and infrastructure hurdles. Even with cheap underused real estate near target markets, the initial capital needed to retrofit a warehouse to be farm-ready is enormous when compared to the more modest margins of the food business. First, the designing fees alone for a 5,000 ft2 warehouse farm system start at $300-500k, and that is before construction and perfecting of the farming system. Many warehouse farms essentially need to invent their own growing system. Next, the high cost of farm and automation equipment inflate initial capital inputs to levels that almost guarantee the need for outside investors. Then, a larger space means a larger environment to control and therefore a lot more energy to maintain perfect growing conditions. These high utility costs, combined with a very high start-up capital requirement end up drawing out the return on investment to a very unattractive length of time. With warehouse farming we saw that the high power requirements contribute enormously to the challenge of building an economically successful growing operation. Many projects have sought to free themselves from those ponderous power costs by building a greenhouse on the roof of a warehouse to take advantage of natural light. While this may seem like an attractive alternative to a warehouse full of energy-intensive grow lights, there are a host of hidden costs to building and growing food on a rooftop. Everything from the structure and shape of a roof to regulations requiring ease of access can complicate a farming operation. Anyone planning to grow on a roof has to plan for accommodating the building shape and presence of HVAC systems, ensuring structural stability of the building in the face of extra weight and water, and the transport of goods to/from the farm. 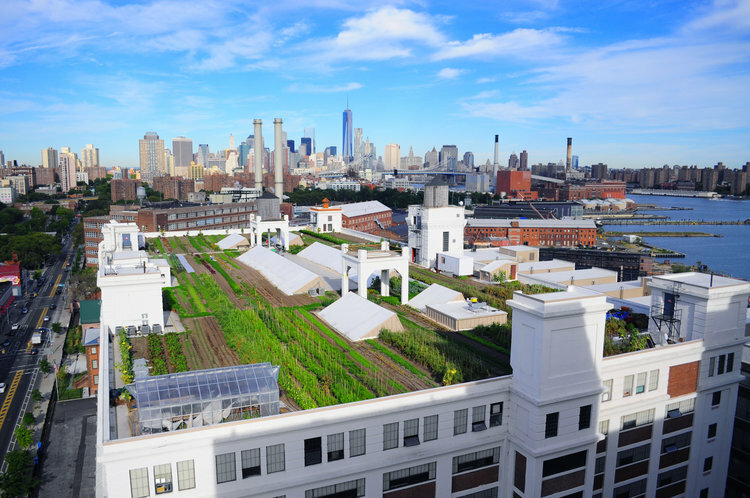 “There are a host of hidden costs to building and growing food on a rooftop. Everything from the structure and shape of a roof to regulations requiring ease of access can complicate a farming operation." Even should the building be perfect, literally built for a greenhouse to sit on its roof, potential farmers now face the hurdles of minimum structural requirements for the greenhouse itself. For example, the positioning of a greenhouse on a roof exposes it to greater wind speeds than at ground level. Building codes often require that any rooftop structure be able to withstand hurricane force winds (75+ mph) which requires a significant investment of time and resources in engineering. Then, the transparent structure designed to capture natural sunlight must also be able to not only bear a full snow or ice load, but also shed that load so the crop is never shaded out. To meet all these requirements and start up a rooftop greenhouse can easily cost more than $1 million simply to get the greenhouse built to code. At Freight Farms, we have worked long and hard to perfect an intermediate option between a home garden and massive, expensive farming operations: the Greenery. At $104,000, start-up costs for new freight farmers are far below those of a warehouse or rooftop operation. We designed our hydroponic farms inside of modular containers that are easy to scale up into either a centralized or decentralized production format. The 320 sq. ft. footprint of the Greenery might imply a very small output of fresh veggies; however, our farms produce the equivalent of a farm the size of 2.5 NFL football fields, in a space smaller than one endzone! With farms in most U.S. states and fifteen countries, we’ve spent a lot of time incorporating feedback from existing customers into our designs to make the Greenery an easy-to-use, productive system, allowing users of all backgrounds to immediately start growing.